WAS $13,487, EPA 39 MPG Hwy/27 MPG City! 2.5 S trim. Excellent Condition. Bluetooth, CD Player, Keyless Start, [X01] POWER DRIVER SEAT PACKAGE, Back-Up Camera, iPod/MP3 Input, Serviced here, Non-Smoker vehicle, Local Trade. SEE MORE!KEY FEATURES INCLUDEBack-Up Camera, iPod/MP3 Input, Bluetooth, CD Player, Keyless Start MP3 Player, Remote Trunk Release, Keyless Entry, Steering Wheel Controls, Child Safety Locks.OPTION PACKAGESPOWER DRIVER SEAT PACKAGE 6-Way Power Driver's Seat. Nissan 2.5 S with Glacier White exterior and Charcoal interior features a 4 Cylinder Engine with 182 HP at 6000 RPM*. Serviced here, Non-Smoker vehicle, Local Trade.EXPERTS CONCLUDEEdmunds.com explains The CVT is more responsive when you press on the gas pedal compared to its competitors, and the simulated stepped gears reduce some of the engine drone that others suffer from.. Great Gas Mileage: 39 MPG Hwy.AFFORDABLE TO OWNReduced from $13,487. Approx. Original Base Sticker Price: $22,900*.VISIT US TODAYLegends Toyota, an award-winning, full-service Toyota dealership, offers new, used and certified pre-owned cars. We're part of Baxter Auto, a Midwest dealer group serving Kansas City, KS, Omaha, NE and Lincoln, NE. At Legends Toyota, we're driven to be the best Toyota dealer in Kansas City. We're conveniently located at 10100 Parallel Parkway, Kansas City, KS 66109, just north of I-70. Shop our inventory online and request an e-price.Pricing analysis performed on 4/16/2019. Horsepower calculations based on trim engine configuration. Fuel economy calculations based on original manufacturer data for trim engine configuration. Please confirm the accuracy of the included equipment by calling us prior to purchase. PRICE DROP FROM $21,991, FUEL EFFICIENT 30 MPG Hwy/21 MPG City!, PRICED TO MOVE $1,100 below Black Book! CARFAX 1-Owner. Navigation, Sunroof, Heated Seats, Dual Zone A/C, Onboard Communications System, iPod/MP3 Input, Alloy Wheels CLICK ME!KEY FEATURES INCLUDESunroof, iPod/MP3 Input, Onboard Communications System, Dual Zone A/C Child Safety Locks, Steering Wheel Controls, Heated Mirrors, Electronic Stability Control, Electrochromic rearview mirror.OPTION PACKAGESPREMIUM 1 PACKAGE Power Rear-Window Sunshade, COMAND System w/Hard-Drive Navigation, 10GB music register, Heated Front Seats, Rearview Camera, SIRIUS Satellite Radio, SiriusXM Traffic and SiriusXM Weather (w/), harman/kardon Logic 7 Surround Sound System, Dolby Digital 5.1, KEYLESS-GO PACKAGE Control Code, Hands-Free Access, Electronic Trunk Closer, REAR TRUNKLID SPOILER, WHEELS: 18 5-DOUBLE SPOKE ALLOY (STD). Mercedes-Benz E 350 Sport with Black exterior and Silk Beige MB-Tex interior features a V6 Cylinder Engine with 302 HP at 6500 RPM*.EXPERTS CONCLUDEThe backseat in four-door models is pleasantly spacious, matching the BMW 5 Series for most hospitable in the midsize luxury class. -Edmunds.com. Great Gas Mileage: 30 MPG Hwy.A GREAT VALUEWas $21,991. This E 350 is priced $1,100 below Black Book. Approx. Original Base Sticker Price: $51,900*.OUR OFFERINGSBaxter Chrysler Dodge Jeep Ram West Dodge, a full-service car dealership in Omaha, is your source for new cars, trucks and SUVs both online and in our showroom. We also sell used vehicles and certified pre-owned vehicles. At our 17950 Burt Street locationPricing analysis performed on 4/16/2019. Horsepower calculations based on trim engine configuration. Fuel economy calculations based on original manufacturer data for trim engine configuration. Please confirm the accuracy of the included equipment by calling us prior to purchase. GREAT MILES 34,875! JUST REPRICED FROM $14,497, PRICED TO MOVE $1,800 below NADA Retail!, FUEL EFFICIENT 28 MPG Hwy/20 MPG City! Leather, Moonroof, CONVENIENCE PACKAGE, Aluminum Wheels, Onboard Communications System. AND MORE! AFFORDABILITY Reduced from $14,497. This Captiva Sport Fleet is priced $1,800 below NADA Retail. KEY FEATURES INCLUDE CLEAN CARFAX HISTORY,RIGHT NOW FINANCE TERMS WITH APPROVED CREDIT UP TO 72 MO. WITH APPROVED CREDIT......Onboard Communications System.Aluminum Wheels, Keyless Entry, Steering Wheel Controls, Heated Mirrors, Electronic Stability Control. OPTION PACKAGES BELOW ARE ORIGINAL FACTORY OPTIONS WHEN ORDERED NEW ! CONVENIENCE PACKAGE includes leather-appointed seating, (KA1) heated front seats, (VY7) leather-wrapped shift knob, (BTV) remote vehicle start, (UG1) Universal Home Remote and (CE1) Rainsense wipers, SUNROOF, POWER, TILT-SLIDING, AUDIO SYSTEM, CHEVROLET MYLINK RADIO, DIAGONAL COLOR TOUCH-SCREEN DISPLAY AM/FM/SIRIUSXM/HD RADIO WITH CD PLAYER includes Bluetooth streaming audio for music and select phones; Hands-Free smartphone integration, LT PREFERRED EQUIPMENT GROUP: includes Standard Equipment, ENGINE, 2.4L DOHC 4-CYLINDER SIDI (SPARK IGNITION DIRECT INJECTION) with VVT (Variable Valve Timing) and E85 capability (180 hp [135.7 kW] @ 6700 rpm, 172 lb-ft of torque [232.2 N-m] @ 4900 rpm) (STD), TRANSMISSION, 6-SPEED AUTOMATIC (STD). Chevrolet FWD LT, REM START, SUNRF, MYLINK with Silver Ice Metallic exterior and Black interior features a 4 Cylinder Engine with 180 HP at 6700 RPM*. EXPERTS RAVE CarGurus.com's review says All trims additionally sport 56.4 cubic feet of cargo space with the rear seatbacks folded, and this space is augmented by fold-flat front passenger seatbacks lineup-wide.. Great Gas Mileage: 28 MPG Hwy. Pricing analysis performed on 4/18/2019. Horsepower calculations based on trim engine configuration. Fuel economy calculations based on original manufacturer data for trim engine configuration. Please confirm the accuracy of the included equipment by calling us prior to purchase. REDUCED FROM $33,709!, FUEL EFFICIENT 27 MPG Hwy/18 MPG City!, PRICED TO MOVE $3,700 below NADA Retail! Clean. Moonroof, Nav System, Heated Leather Seats, Third Row Seat, Aluminum Wheels, All Wheel Drive. KEY FEATURES INCLUDE Leather Seats, Third Row Seat, Navigation, Sunroof, All Wheel Drive Acura Tech Pkg with Graphite Luster Metallic exterior and Ebony interior features a V6 Cylinder Engine with 290 HP at 6200 RPM*. Non-Smoker vehicle. EXPERTS ARE SAYING Superbly crafted interior; capable handling; good fuel economy; quiet, comfortable ride; long list of standard and available features. -Edmunds.com. AFFORDABILITY Was $33,709. This MDX is priced $3,700 below NADA Retail. WHO WE ARE Here at Baxter Volkswagen Omaha, our commitment to our customers goes far beyond your initial vehicle purchase. We don't want you to just have a great buying experience at our Volkswagen dealership in Omaha, NE, we want to provide you with all that you need to have a wonderful life with your new car. Pricing analysis performed on 4/16/2019. Horsepower calculations based on trim engine configuration. Fuel economy calculations based on original manufacturer data for trim engine configuration. Please confirm the accuracy of the included equipment by calling us prior to purchase. CARFAX 1-Owner, Excellent Condition, LOW MILES - 54,574! WAS $17,987, $2,200 below NADA Retail!, FUEL EFFICIENT 29 MPG Hwy/22 MPG City! Nav System, Heated Leather Seats, Power Liftgate, Back-Up Camera, iPod/MP3 Input, 4x4 AND MORE!KEY FEATURES INCLUDEPower Liftgate, Back-Up Camera, Premium Sound System, Satellite Radio, iPod/MP3 Input. Rear Spoiler, MP3 Player, 4x4, Aluminum Wheels, Remote Trunk Release.OPTION PACKAGESENGINE: 2.0L ECOBOOST GVWR: 4,840 lbs, 3.07 Axle Ratio, NAVIGATION SYSTEM SiriusXM Traffic and Travel Link, CHARCOAL BLACK, HEATED LEATHER-TRIMMED BUCKETS W/60/40 REAR SEAT 10-way power driver and passenger seat w/memory, driver seat back map pocket and lumbar support, and passenger seat power lumbar adjust. Ford Titanium with Ingot Silver exterior and Charcoal Black interior features a 4 Cylinder Engine with 231 HP at 5500 RPM*. Non-Smoker vehicle, New Tires, Local Trade.VEHICLE REVIEWSEdmunds.com explains The 2015 Ford Escape is one of our favorite small crossover utility vehicles, thanks to athletic driving dynamics, an inviting cabin and useful high-tech features.. Great Gas Mileage: 29 MPG Hwy.A GREAT TIME TO BUYReduced from $17,987. This Escape is priced $2,200 below NADA Retail. Approx. Original Base Sticker Price: $31,500*.BUY WITH CONFIDENCECARFAX 1-OwnerOUR OFFERINGSLegends Toyota, an award-winning, full-service Toyota dealership, offers new, used and certified pre-owned cars. We're part of Baxter Auto, a Midwest dealer group serving Kansas City, KS, Omaha, NE and Lincoln, NE. At Legends Toyota, we're driven to be the best Toyota dealer in Kansas City. We're conveniently located at 10100 Parallel Parkway, Kansas City, KS 66109Pricing analysis performed on 4/5/2019. Horsepower calculations based on trim engine configuration. Fuel economy calculations based on original manufacturer data for trim engine configuration. Please confirm the accuracy of the included equipment by calling us prior to purchase. CARFAX 1-Owner, Excellent Condition. WAS $16,987. Third Row Seat, All Wheel Drive, Quad Bucket Seats, Rear Air, Remote Engine Start, iPod/MP3 Input, Back-Up Camera, TRANSMISSION, 6-SPEED AUTOMATIC, ENGINE, 3.6L SIDI V6 READ MORE!KEY FEATURES INCLUDERear Air, Back-Up Camera, iPod/MP3 Input, Remote Engine Start. Rear Spoiler, MP3 Player, All Wheel Drive, Onboard Communications System, Aluminum Wheels.OPTION PACKAGESSEATING, 7-PASSENGER (2-2-3 SEATING CONFIGURATION): with 2nd row flat-folding Captains Chair and third row 60/40 split flat folding bench seat, AUDIO SYSTEM, COLOR TOUCH AM/FM/SIRIUSXM/HD RADIO WITH CD PLAYER 6.5 diagonal touch-screen display (STD), TRANSMISSION, 6-SPEED AUTOMATIC, ENGINE, 3.6L SIDI V6 (281 hp [210 kW] @ 6300 rpm, 266 lb-ft of torque @ 3400 rpm [359.1 N-m]) (STD). Chevrolet LT with Black Granite Metallic exterior and Ebony interior features a V6 Cylinder Engine with 281 HP at 6300 RPM*. Non-Smoker vehicle, New Tires, Local Trade.EXPERTS REPORTEdmunds.com explains The 2014 Chevrolet Traverse features a spacious and attractive interior..A GREAT VALUEWas $16,987. Approx. Original Base Sticker Price: $36,000*.SHOP WITH CONFIDENCECARFAX 1-OwnerWHY BUY FROM USLegends Toyota, an award-winning, full-service Toyota dealership, offers new, used and certified pre-owned cars. We're part of Baxter Auto, a Midwest dealer group serving Kansas City, KS, Omaha, NE and Lincoln, NE. At Legends Toyota, we're driven to be the best Toyota dealer in Kansas City. We're conveniently located at 10100 Parallel Parkway, Kansas City, KS 66109, just north of I-70. Shop our inventory online and request an e-price.Pricing analysis performed on 4/5/2019. Horsepower calculations based on trim engine configuration. Please confirm the accuracy of the included equipment by calling us prior to purchase. Volkswagen Certified, Excellent Condition, LOW MILES - 17,800! JUST REPRICED FROM $19,980, FUEL EFFICIENT 34 MPG Hwy/25 MPG City!, $2,800 below NADA Retail! Heated Seats, Bluetooth, CD Player, iPod/MP3 Input, ROADSIDE ASSISTANCE KIT 2-Year or 24,000-Mile (whichever occurs first) Comprehensive Limited Warranty, 100+ Point Dealer Inspection, Carfax Vehicle History Report, 24-Hour Roadside Assistance, 3-Month SiriusXM All-Access Trial Subscription EXCELLENT VALUE Reduced from $19,980. This Beetle Convertible is priced $2,800 below NADA Retail. KEY FEATURES INCLUDE Heated Driver Seat, Turbocharged, iPod/MP3 Input, Bluetooth, CD Player. OPTION PACKAGES ROADSIDE ASSISTANCE KIT booster cables, warning triangle, multi-tool, LED flashlight, work gloves, PVC tape, blanket, poncho, whistle, cable ties and bandages. Volkswagen 1.8T S with Pure White/Black Roof exterior and Titan Black interior features a 4 Cylinder Engine with 170 HP at 4800 RPM*. Non-Smoker vehicle. EXPERTS ARE SAYING KBB.com's review says Their build quality is excellent, as is the quality of the materials used to form the feature-rich cabin.. Great Gas Mileage: 34 MPG Hwy. WHY BUY FROM US Here at Baxter Volkswagen Omaha, our commitment to our customers goes far beyond your initial vehicle purchase. We don't want you to just have a great buying experience at our Volkswagen dealership in Omaha, NE, we want to provide you with all that you need to have a wonderful life with your new car. Pricing analysis performed on 4/19/2019. Horsepower calculations based on trim engine configuration. Fuel economy calculations based on original manufacturer data for trim engine configuration. Please confirm the accuracy of the included equipment by calling us prior to purchase. CARFAX 1-Owner. LE trim. WAS $19,000, PRICED TO MOVE $2,200 below Kelley Blue Book!, EPA 39 MPG Hwy/28 MPG City! Bluetooth, Smart Device Integration, Lane Keeping Assist, Aluminum Wheels, Back-Up Camera, iPod/MP3 Input. CLICK NOW!KEY FEATURES INCLUDEBack-Up Camera, iPod/MP3 Input, Bluetooth, Smart Device Integration, Lane Keeping Assist. MP3 Player, Aluminum Wheels, Remote Trunk Release, Keyless Entry, Child Safety Locks. Toyota LE with MIDNIGHT BLACK METALLIC exterior and BLACK interior features a 4 Cylinder Engine with 203 HP at 6600 RPM*.EXPERTS RAVEThe big and comfortable seats, well-executed ride and powerful climate control mean the Camry will suit drivers of most sizes well even on long trips. -Edmunds.com. Great Gas Mileage: 39 MPG Hwy.A GREAT TIME TO BUYReduced from $19,000. This Camry is priced $2,200 below Kelley Blue Book.SHOP WITH CONFIDENCECARFAX 1-OwnerBUY FROM AN AWARD WINNING DEALERBaxter Toyota Lincoln, a full-service Toyota dealership, offers new, used and certified pre-owned cars. We're part of Baxter Auto, the largest dealer group in Nebraska. You can shop the complete lineup of new Toyota models in our showroom or walk our lot to browse our selection of used vehicles.Pricing analysis performed on 4/17/2019. Horsepower calculations based on trim engine configuration. Fuel economy calculations based on original manufacturer data for trim engine configuration. Please confirm the accuracy of the included equipment by calling us prior to purchase. CARFAX 1-Owner. WAS $18,989, PRICED TO MOVE $500 below Kelley Blue Book! Sport trim. Heated Seats, Power Liftgate, Satellite Radio, iPod/MP3 Input, Hitch, TRAILER HITCH, All Wheel Drive, Aluminum Wheels. CLICK ME!KEY FEATURES INCLUDEAll Wheel Drive, Power Liftgate, Heated Driver Seat, Satellite Radio, iPod/MP3 Input. 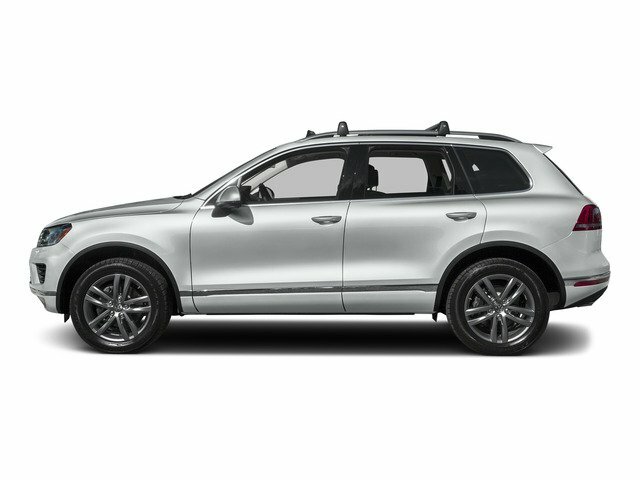 Rear Spoiler, MP3 Player, Keyless Entry, Remote Trunk Release, Privacy Glass.OPTION PACKAGESTRAILER HITCH.BUY WITH CONFIDENCEVolkswagen Sport with Pure White exterior and Black Anthracite interior features a V6 Cylinder Engine with 280 HP at 6200 RPM*.VEHICLE REVIEWSThe Touareg's responsive steering, supple ride and flawless high-speed composure make it a perfect companion for road trips. -Edmunds.com.PRICED TO MOVECARFAX 1-Owner Reduced from $18,989. This Touareg is priced $500 below Kelley Blue Book. Approx. Original Base Sticker Price: $44,700*.WHO WE AREBaxter Chrysler Dodge Jeep Ram La Vista, a full-service car dealership in La Vista, is your source for new cars, trucks and SUVs both online and in our showroom. We also sell used vehicles and certified pre-owned vehicles. At our 7010 South 124th Circle location, we also provide Mopar parts and auto repair service. We're part of Baxter Auto, the largest dealer group in Nebraska.Pricing analysis performed on 4/16/2019. Horsepower calculations based on trim engine configuration. Please confirm the accuracy of the included equipment by calling us prior to purchase. PRICE DROP FROM $19,996, PRICED TO MOVE $400 below NADA Retail!, FUEL EFFICIENT 30 MPG Hwy/21 MPG City! SV trim. Excellent Condition, CARFAX 1-Owner. Heated Leather Seats, Nav System, iPod/MP3 Input, Bluetooth, Aluminum Wheels. AND MORE!KEY FEATURES INCLUDENavigation, Back-Up Camera, Satellite Radio, iPod/MP3 Input, Bluetooth. Leather Seats, MP3 Player, Heated Driver Seat, Aluminum Wheels, Keyless Entry. Nissan SV with BRILLIANT SILVE exterior and Charcoal interior features a V6 Cylinder Engine with 300 HP at 6400 RPM*. Serviced here, Non-Smoker vehicle, New Tires, Local Trade.EXPERTS ARE SAYINGEdmunds.com's review says The 2017 Maxima may not have the brand name of a luxury car, but it has the interior of one. Passengers are surrounded by quality materials, including soft-touch surfaces on most of the major touch points.. Great Gas Mileage: 30 MPG Hwy.PRICED TO MOVEReduced from $19,996. This Maxima is priced $400 below NADA Retail. Approx. Original Base Sticker Price: $34,600*.WHO WE ARELegends Honda, a full-service Honda dealership, offers new, used and certified pre-owned cars. We're part of Baxter Auto, a Midwest dealer group serving Kansas City, KS, Omaha, NE and Lincoln, NE At Legends Honda, we're driven to be the best Honda dealer in Kansas City. We're conveniently located at 10050 Parallel Parkway, Kansas City, KS 66109, just off I-435. Shop our inventory online and request an e-price.Pricing analysis performed on 4/17/2019. Horsepower calculations based on trim engine configuration. Fuel economy calculations based on original manufacturer data for trim engine configuration. Please confirm the accuracy of the included equipment by calling us prior to purchase. GREAT MILES 41,150! SXT trim. WAS $20,775, EPA 31 MPG Hwy/19 MPG City! Heated Seats, iPod/MP3 Input, Satellite Radio, Bluetooth, Dual Zone A/C, Remote Engine Start, Premium Sound System, TRANSMISSION: 8-SPEED AUTOMATIC (845R... RALLYE GROUP, PLUS GROUP, Supercharged, Turbo Charged Engine, Aluminum Wheels.KEY FEATURES INCLUDESupercharged, Turbocharged, Premium Sound System, Satellite Radio, iPod/MP3 Input, Bluetooth, Aluminum Wheels, Remote Engine Start, Dual Zone A/C. MP3 Player, Remote Trunk Release, Keyless Entry, Steering Wheel Controls, Child Safety Locks.OPTION PACKAGESPLUS GROUP Ventilated Front Seats, Bi-Function HID Projector Head Lamps, Heated 2nd Row Seats, Wheels: 18 x 7.5 Polished/Painted Aluminum, Heated Steering Wheel, ParkView Rear Back-Up Camera, Auto Dim Exterior Driver Mirror, ParkSense Rear Park Assist System, Illuminated Rear Cupholders, Driver & Passenger Lower LED Lamps, Auto Adjust In Reverse Exterior Mirrors, Radio/Driver Seat/Mirrors Memory, Power Front Driver/Passenger Seats, Power Heated Memory Mirrors w/Man F/Away, Front Overhead LED Lighting, Security Alarm, RALLYE GROUP Gloss Black Grille-Gloss Black Xhairs, Gloss Black Fascia Applique, RALLYE Badge, Rear Bodycolor Spoiler, 300 HP Power Rating, Sport Mode 2, R/T Front End Appearance, Engine: 3.6L V6 24V VVT, Steering Wheel Mounted Shift Control, TRANSMISSION: 8-SPEED AUTOMATIC (845RE).EXPERTS RAVEEdmunds.com explains The 2015 Dodge Charger proves that driving a large sedan doesn't have to be boring. Its steering feels sporty and precise, and while its ride quality is supple and forgiving on bad surfaces, this big car offers impressive control and balance when you hustle it around tight turns.. Great Gas Mileage: 31 MPG Hwy.A GREAT TIME TO BUYWas $20,775.Fuel economy calculations based on original manufacturer data for trim engine configuration. Please confirm the accuracy of the included equipment by calling us prior to purchase. REDUCED FROM $22,988!, $4,000 below NADA Retail!, FUEL EFFICIENT 31 MPG Hwy/21 MPG City! CARFAX 1-Owner, GREAT MILES 44,834! Sunroof, Heated Seats, Satellite Radio, iPod/MP3 Input, Onboard Communications System, CD Player CLICK ME!KEY FEATURES INCLUDEBack-Up Camera, Satellite Radio, iPod/MP3 Input, CD Player, Onboard Communications System MP3 Player, Sunroof, Aluminum Wheels, Keyless Entry, Remote Trunk Release.OPTION PACKAGESPREMIUM PACKAGE Memory Exterior Mirrors, Memory Driver Seat, Power Tilt & Telescopic Wood Steering Whl w/Memory, wood shift knob, Genuine Wood Trim, HEATED & VENTILATED FRONT SEATS, 3 SPOKE LEATHER & WOOD HEATED STEERING WHEEL leather and wood shift knob. Lexus ES 350 with STARFIRE PEARL exterior and PARCHMENT interior features a V6 Cylinder Engine with 268 HP at 6200 RPM*.EXPERTS ARE SAYINGEdmunds.com explains Velvety-smooth V6 engine; comfortable ride and composed handling; luxurious and well-built interior; generous rear legroom; excellent crash test scores.. Great Gas Mileage: 31 MPG Hwy.PRICED TO MOVEReduced from $22,988. This ES 350 is priced $4,000 below NADA Retail. Approx. Original Base Sticker Price: $37,700*.OUR OFFERINGSBaxter Ford West Dodge, a full-service Ford dealership in Omaha, is your source for new Ford cars, trucks, vans and SUVs both online and in our showroom. We also sell used vehicles and certified pre-owned Fords. At our 18505 California Street (185th & Dodge) location, we also provide parts and auto repair service. We're part of Baxter Auto, the largest dealer group in Nebraska.Pricing analysis performed on 4/15/2019. Horsepower calculations based on trim engine configuration. Fuel economy calculations based on original manufacturer data for trim engine configuration. Please confirm the accuracy of the included equipment by calling us prior to purchase.